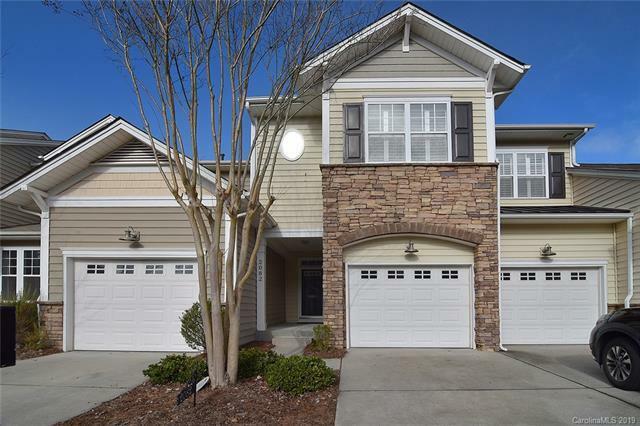 Move in ready townhome in Calloway Village. Located on cul de sac street. Open floor plan. Great room w gas log fireplace. Kitchen w center work island & breakfast bar. Refrigerator to convey. Dining room. Master bedroom w tray ceiling & walk in closet. Master bath w double sink vanity, separate tiled shower/bath. Balcony off master overlooks natural area. Spacious secondary bedrooms, full bath, laundry & loft/study complete the upper level. Finished basement - rec room has free standing bar/bar stools & pool table w accessories, also bedroom & full bath.Washer/dryer to convey. Deck & patio offer view of green space. Fort Mill Schools. Tega Cay vacation lifestyle.